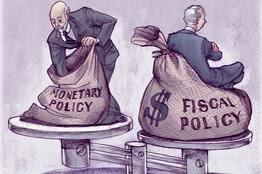 US monetary and fiscal policies are moving. While the Federal Reserve is widely expected to raise the Fed funds target range by 25 bp, for the third time this year, Congress is trying to reconcile the House and Senate tax bills. Treasury Secretary Mnuchin released a one page statement that explained how the proposed tax cuts pay for themselves, a claim often heard by the proponents. Mnuchin clearly indicated that they don't. He was explicit: only when the tax cuts are considered in conjunction with other actions, will the growth rate be lifted and where the revenues will offset the tax cuts. Mnuchin is referring to deregulation, infrastructure initiative, and welfare reform. These other measures, especially the infrastructure and welfare reform have not even begun the legislative process. This is in turn helps explain why today's special election in Alabama is so important. The Republican majority in the Senate is two, and if the Alabama seat won by the Democrats, the majority is halved. Given the broad views contained in the Republican Party, it is too narrow of a margin to be confident of the rest of the administration's agenda. And that is ahead of next year's midterm election. Moreover, the Treasury's statement assumed 15% corporate tax rate, while both the House and Senate had a 20% rate, and the President seemed to suggest after both bills were passed, that he would a 22% rate. The Treasury's report assumed a 35% top tax bracket for individuals, while the Senate version called for a 38.5% top bracket. It also most seems as if the Treasury worked backwards from the growth rate which it projects to average 2.9% for the decade. The "conference committee" is doing it work is a cloud of secrecy, and the sticking points have not changed. They include the corporate rate, the pass-through rate, international tax provisions, and whether and how much state and local taxes can be deducted from federal tax obligations, and if the estate tax should be abolished. The bill then needs to be scored to ensure that it is within the Senate rules. The House and Senate still need to vote on it before the President signs it into law. Some of the compromises that allowed the bill to pass the Senate 51-49 may be at risk in the reconciliation process. It is well appreciated that the Federal Reserve is midst of dramatic change in personnel. Tomorrow will be Yellen's last press conference as Fed Chair. As soon as Powell is sworn in, she will step down. That means that this is likely her last meeting. The first meeting in 2018 is last day of January. The only personnel change since the September forecasts is that Fischer has stepped down and Quarles has joined the Board of Governors. In September, the forecasts suggested a median anticipation of three hikes in 2018, two in 2019 and one in 2020. Several investment houses are forecasting four hikes next year, and have largely dismissed arguments that financial conditions are going to be tightened more aggressively by the shrinking of the Fed's balance sheet. We do not expect the dot plots for next year to change. Watch the relationship with the 2020 forecast and the median dot of the long-term forecast. The long-term forecast, which, when adjusted by the Fed's inflation target, can be a proxy for expectation of the long-term equilibrium real rate (r*). The median long-term dot implied 2.75% in September, while two years before, it stood at 3.5%. There is some risk that the long-term forecast is still in the process of adjusting lower, but we would not expect it to change now. It may be more of a 2018 story. Goodfriend's nomination will likely be confirmed before the March FOMC meeting, when forecasts will be updated. While wary of the erosion of credibility of not achieving the inflation target, Goodfriend has also been critical of past Feds for waiting too long to hike, which latter requires playing catch-up to the detriment of the economy. Also, next year's rotation of regional presidents, sees two of the chief doves, Kashkari and Evans lose their votes. Nearly by definition, the configuration of the FOMC (not forecasts) will be in a more hawkish direction. Kashkari dissented against the March and June hikes, and will likely dissent from tomorrow's as well. Speculation of who replaces Dudley at the NY Fed has begun. Given the selection process and the recognized desire for continuity, we expect an experienced person from within the Fed to get the nod.